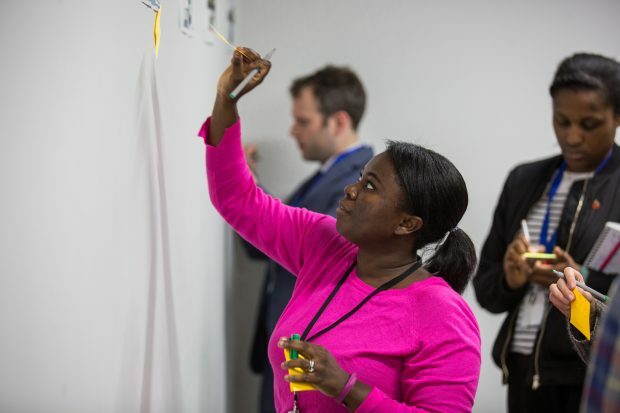 In the GOV.UK content improvements team, workshops are vital. Workshops with our department colleagues give us a joint view of our challenges and a shared sense of ownership – but planning and running them is a real skill. To help with your next workshop, we’ve put together our top 10 tips from 6 months of intensive workshopping. Chemistry and trust are central to a successful workshop. So how do you start building that working relationship before you even enter the room? It all begins with the agenda. If you can co-create the agenda with your opposite number in a department, then do it. Talking about the purpose of the day, the shape of activities and even timings starts to build a shorthand for working together. If you’re doing the workshop in a department’s offices, going up a day before can be really beneficial. 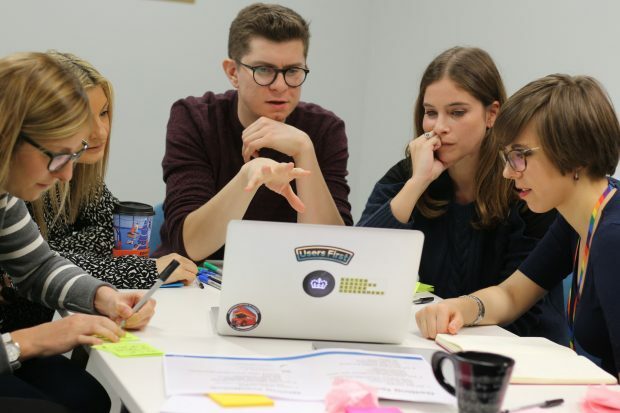 We did this with the Student Loans Company – it was great to meet the team in advance, and it helped us understand their environment and how they work. A great workshop contains a mix of activities that give both introverted and extroverted personality types the space to think and share. It can help to tell people what to expect from the session in advance. This gives anyone who likes to prepare time to do so, so they feel confident on the day. 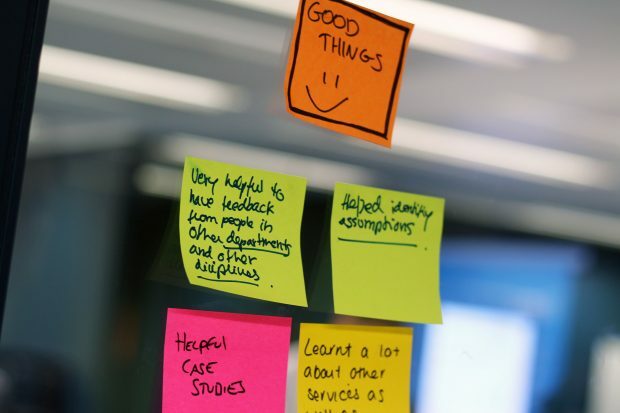 With HMRC, we did a post-it note exercise to review the GOV.UK tax codes journey. Everyone had the chance to stick their thoughts to printouts of the pages and then share with the group. It can be difficult to manage a group of 10+ stakeholders: it can take longer to hear from everyone, the discussion can get stuck on one topic and productivity can dip. With the Department for Work and Pensions (DWP), we’ve been using smaller working groups this quarter. Representatives from different areas of DWP (the service, comms and content design) get together with a couple of us from GDS to focus on a specific challenge. Where possible, we meet in person for a good chunk of time, but when that isn’t possible, we have regular calls. We’ve used the small working group approach to update the content on Universal Credit, from mapping user scenarios to reviewing a first draft. There’s nothing like a windowless room with the slow drone of aircon to make everyone feel lethargic. Try to find out what your room is like in advance so you can use the space to its fullest extent and lessen any issues. Build energy by scheduling plenty of breaks and organising activities in different corners of the room. Doing a sketch of how your activities will work around the room in advance can help with the flow. Get out of your seat and encourage others to do the same. It’s also a good idea to get into the room early to set things up (whether that means putting things on the walls, or testing your presentation deck, conference call tech or live links). Don’t be afraid of going off agenda if something interesting comes up. Give yourself a set amount of time to explore the idea, so you can keep on schedule, and be flexible enough to shorten activities later in the day. If you find an activity isn’t working, be bold. Cut it short or explore a different way of approaching the problem. Sometimes off-script conversations produce the most useful insights. If one of your activities is causing a debate that can’t be solved in the session, the parking lot is your friend. It lets you acknowledge that a point is important but stops it disrupting the flow of the session. How have you found today’s workshop? What could we improve for next time? Asking participants for their thoughts is continuing to build that shared relationship – acknowledging that nothing is perfect and there are always ways to learn and improve. Agreeing actions in the room is a great way to make sure things happen after the workshop. After all, what’s the point of the session if there’s nothing concrete to move forward with? Have a blank sheet for actions stuck on the wall and capture them as you go. At the end of the session, review the actions and add to them as a team: decide who’s doing what, by when, and which actions are the group’s highest priorities. It’s easy for things to disappear into a black hole after a meeting, so book out the day after your workshop to write up your notes and activities. Create an ‘actions log’ with dates and names assigned to keep track of progress. Send the materials to everyone who was at the workshop within 3 days of the session, while they can clearly remember what happened and their motivation is still high. Workshops can seem really daunting if you’ve not had much experience of them. Workshop skills, like improvising around an agenda or reading how people are feeling, come with practice. But don’t be afraid of giving it a go. See the workshop as a chance to meet new people, create interesting ideas together, and ultimately make a real difference to people. If you have any tips on how to run effective workshops, share them in the comments below. Follow GDS on Twitter.